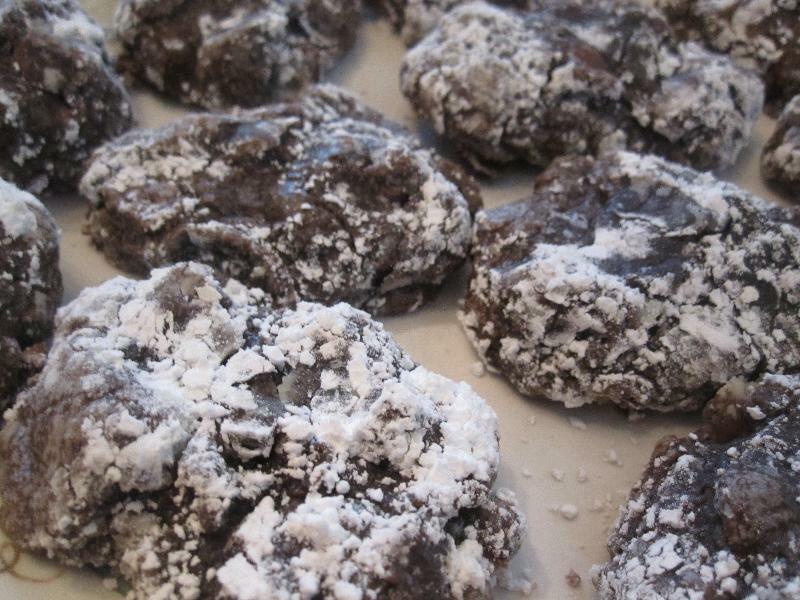 This recipe can be found here.It can also be found on page 11 of the Taste of Home Christmas Cookies and Candies magazine. In a large bowl, beat the brownie mix, flour, egg, water and oil until it is well blended. Place the confectioners' sugar in a small bowl. Place the dough by tablespoonfuls into the sugar and roll to coat the dough. Place the cookie dough 2 in. apart on greased baking sheets. Description: A brownie that is also a cookie!